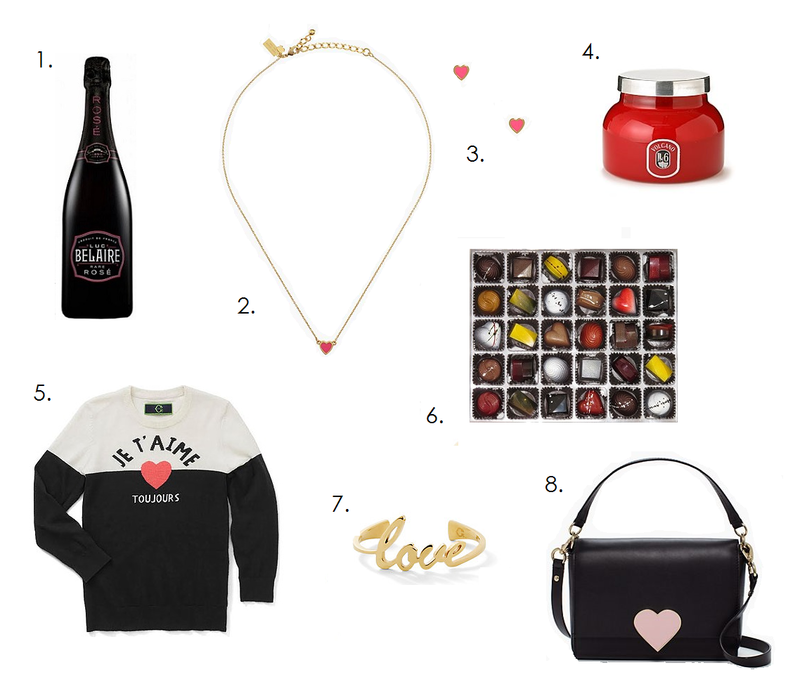 With Valentine's Day just a hop and a skip away, I have partnered up with Santana Row, creating a sweet to sassy gift guide round-up, featuring some of my must have pieces for both him and her. If your trying to go for a sultry Valentine with your beau, setting the mood is key. Bubbly from Vintage Wine Merchants is number one on my list and Luc Belaire Rose, a sparkling red wine, is their suggested poison of choice. They will also be featuring a heart shaped cheese plate with an expanded champagne by the glass menu, February 14th to 16th, at both of their Santana Row locations. Pop! Fizz! Clink! No Valentine would be complete without some chocolate. A recent addition to Santana Row, Chocolatier Blue Parlor has a delectable selection. With five different flavored heart shaped bites to choose from, their chocolate box is a perfect pick. For a scented touch, my favorite candle from Anthropologie, Volcano by Capri Blue, is like a bouquet of roses in a jar. For that beloved Valentine, pink and hearts hit just the right romantic note. Two Santana Row stores with an unlimited selection of sweetheart gifts are C. Wonder and Kate Spade. I swoon over the C. Wonder Love Cuff and the Kate Spade Be Mine Necklace. Santana Row is your one-stop-shop for the month of love. XOXO!